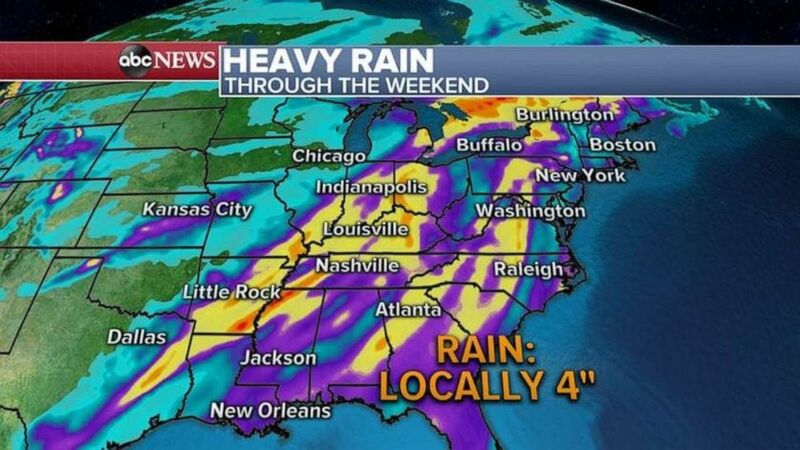 Home Update News The storm will move onto the East Coast on Friday. 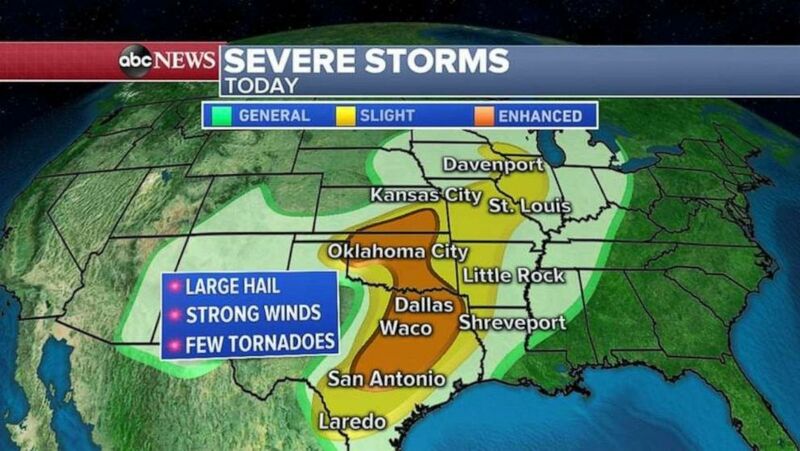 (ABC News) The threat for severe storms stretches from San Antonio all the way north to Oklahoma City and southern Kansas. 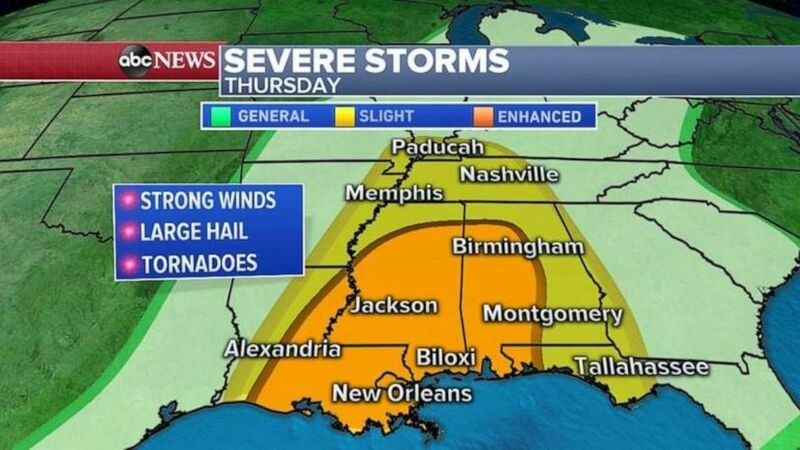 (ABC News) Strong winds, large hail and tornadoes are possible in the Deep South on Thursday. 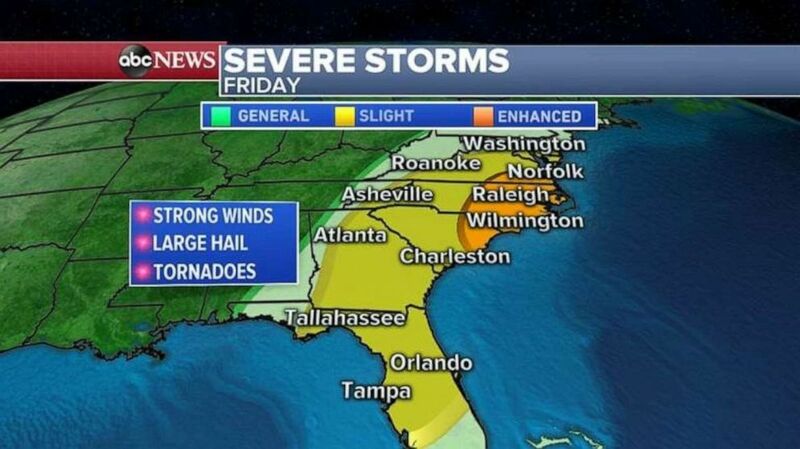 (ABC News) The threat for severe weather moves into the Carolinas, Georgia and Florida on Friday. (ABC News) Parts of the South could see over 4 inches of rain locally.